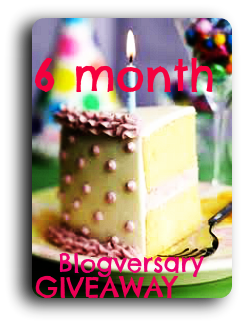 hawwa, etc: Belated 6 Month Blogversary + Surprise GIVEAWAY! Belated 6 Month Blogversary + Surprise GIVEAWAY! You're probably wondering why on earth I am talking about my six month Blogversary now, when it is passed six months...but to be honest....it only just occurred to me! A seed was planted when Gena Showalter's lovely assistant offered to give me a copy of one of her books for me to have a giveaway for all you lovely people. I immediately accepted...who doesn't? !...and then sat thinking about when I was going to host it. I thought it should be for a special occasion and I was hoping to collect books to give away for my 1 year blogversary but I didn't want to keep you all waiting (see how kind I am?!) and decided to hold a six month blogversary giveaway instead! So here I am, rambling on about how this giveaway came about and I can tell you're all sat on the edge of your seats, willing me to get on with it and tell you all what you'll be winning..well..I won't keep you waiting any longer! 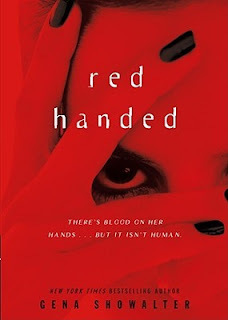 "Red Handed" by Gena Showalter!.. 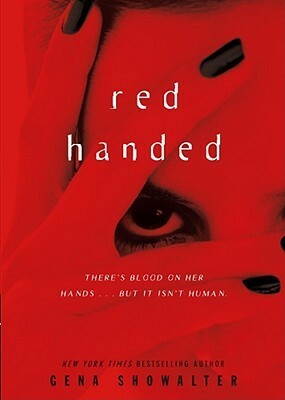 Here's a little bit about the book..
Phoenix Germaine has been trying to earn back her mother's trust after going into rehab and kicking Onadyn -- the drug of choice for New Chicago teens. But when a party in the woods turns into an all-out battle with the most ferocious aliens Phoenix has never seen, she's brought home in what appears to be an Onadyn-induced state. Hello, reform school. I haven't actually read this but all the reviews I've read of it do far are amazing so hopefully, whoever wins this is in for a treat!! Fill out the Rafflecopter to enter. Only being a GFC follower counts, as this is a six month blogversary I would like it to be just for my followers, who have supported me all the way...but you can become a new follower! All the other entries are optional. However, the more entries you enter with, the more likely you will win the giveaway. I have the ability to alter the giveaway at any time under circumstances that I will specify should the need come. Make sure you link back to my blog on my blog button and link back to the giveaway page on my giveaway button. Nope never read any of this authorsw books and never heard of her. But the book sounds cool! New follower hopping by for feature and follow! Congrats on yout blogversary, dear! THANK YOU ALL FOR THE LOVELY COMMENTS!! :DDD They made my day! I read the Darkest Night and really liked it! Thanks so much! Love all the giveaways. Great way of discovering new authors/books! Interview With Hanifah From DoodleRainbow.